Protection. Innovation. Style. That is what the URGe guarantee. 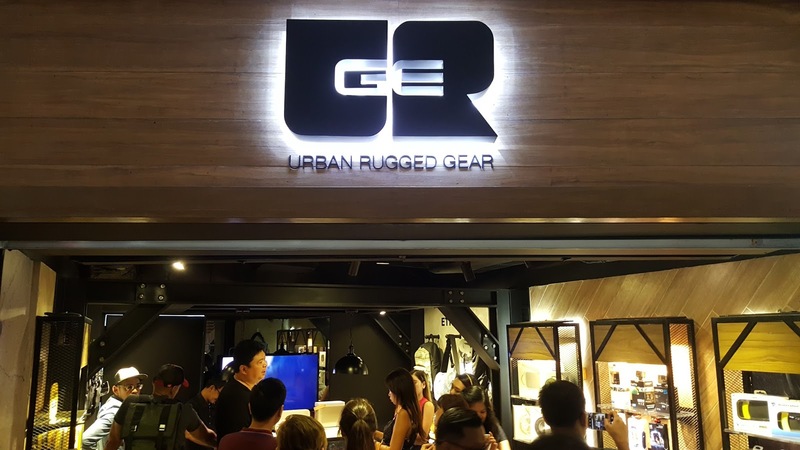 Urban Rugged Gear or URGe is the premiere gadget and accessories store that caters to the needs of the active mobile lifestyle. Backed by the latest technology and world-class standards, URGetakes your active lifestyle to greater heights with products that combine innovation, style, and convenience. Yesterday, I was lucky enough to witness their soft opening at Greenbelt 1 in Ayala where they unveiled their latest lineup of products and accessories. URGe is the official distributor of renowned brands such as OtterBox, Goal Zero, YurBuds, LifeProof, GoPro, LeefiBridge and B & O Play.URGe is also the sole distributor of Mission Workshop, WaterShot, Ethnotek, and Drifterin the country. OtterBox- Froma simple box that started in 1998, Otterbox has evolved into producing innovative protective solutions for leading global wireless carriers and distributors. Otterbox’s commitment to innovation, durability and style makes them the perfect go-to brand for all your gadget needs. LifeProof- Live your life without worries with LifeProof. LifeProofbrings sleek, elegant, and reliable products designed to ensure that you’ve got the freedom to enjoy what you love whenever and wherever. GoPro- See lifefrom a new perspective and capture life’s awesome experiences with the first name in action cameras. Apart from taking awesome photos and videos, Go Pro products are user-friendly, waterproof and durable – making it the perfect gadget for all your adrenaline-filled adventures. According to Jay Tengo, President of Tenkiebox, URGe guarantees that their products are stylish, durable and convenient to use and you are getting only the best for each product purchased.